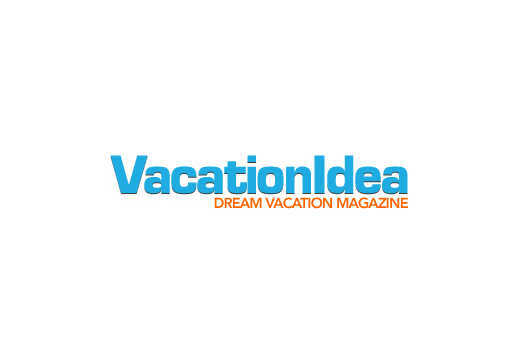 Sleep aboard a retired luxury ocean liner in California, get pizza delivered to your underwater room in Florida, spend the night in a working lighthouse in Oregon, check into a romantic casita surrounded by spectacular views in New Mexico, and much more. All the places on our list are so amazing that you will want to pack your bags next weekend. Most are surprisingly affordable, with rates starting at just $30 per night. 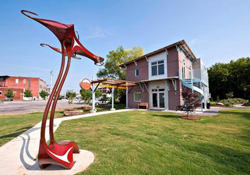 The Crash Pad is a unique, LEED Platinum-certified hostel located in the heart of Chattanooga’s Southside neighborhood. Opened by two climbers in 2011, the lodge provides a comfortable, home-away–from-home abode where you can relax among friends. The inn offers boutique-style private rooms as well as twenty-four well-appointed bunk beds in a common area. It features modern amenities akin to those of a business hotel, including fresh bed linens, free 24-hour computer access, Wi-Fi throughout the building, and central climate control. The lodge boasts a full kitchen and a homey living room area where visitors can gather and relax. It also provides an outdoor terrace and fire pit, a complimentary ‘do-it-yourself’ breakfast and locally roasted coffee. The hostel is within walking distance of a variety of restaurants and bars for evening entertainment. Bunks start at $30, private rooms from $79.